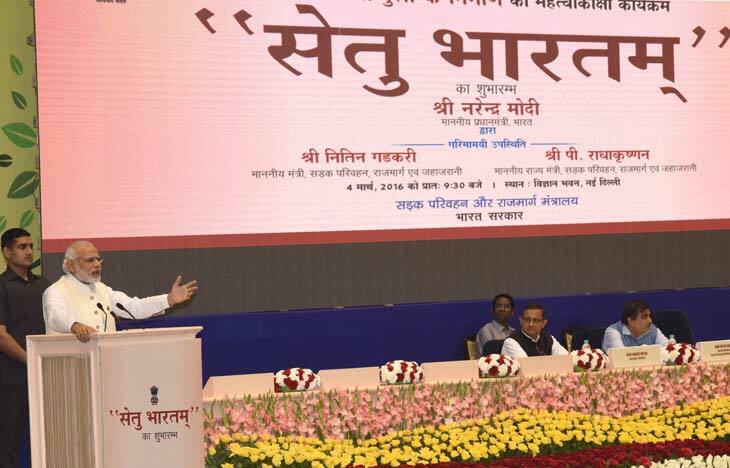 Taking another step towards the betterment of infrastructure in India, PM Narendra Modi has launched yet another project named “Setu Bharatam”. The 50,800-crore Setu Bharatam project aimed at making all national highways free from railway level crossings by the year 2019. Under the Setu Bharatam project, a total of 208 railway crossings will be replaced by rail over bridges (ROBs) and railway underpasses. The railway bridges will be developed at the cost of nearly INR 20,800 crore. Launched on 4th March 2016, around 1500 bridges which are over 50-60 years old will be demolished and build new ones with higher capacity. The cost of re-building the damaged/old bridges is estimated at about Rs 30,000 crore. The Ministry has already invited bids for appointing consultancy for preparing Detailed Project Report for this. The target is to award the consultancy work by March, 2016. Road Transport and Highways Ministry has already launched an Indian Bridge Management System to map 1,50,000 bridges across the country. Till now, an inventory of 50,000 bridges has been prepared while the first cycle of condition survey will be completed by June this year. Speaking on the occasion, the Prime Minister said that the Union Government wishes to make a quantum jump in this direction. Emphasizing the importance of good infrastructure for the development of the country, he said the importance of roads for a nation, is the same as the importance of arteries and veins in the human body. 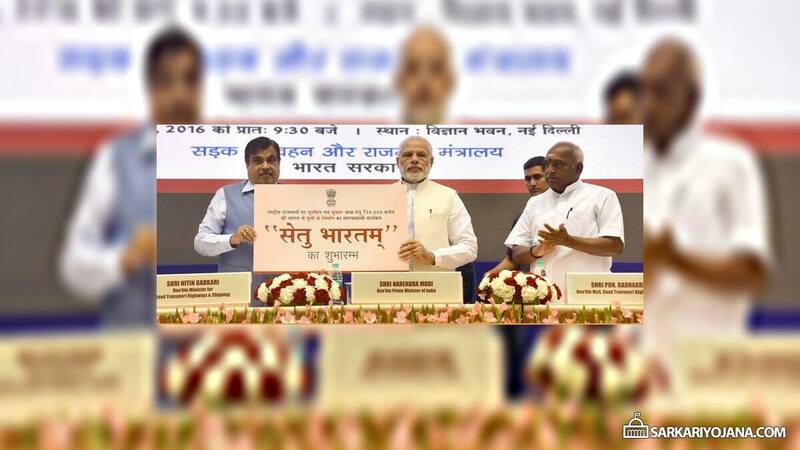 During the launch of Setu Bharatam Project, The Union Minister for Road Transport & Highways and Shipping, Shri Nitin Gadkari and the Minister of State for Road Transport & Highways and Shipping, Shri P. Radhakrishnan were also present. It is very useful project for traffic management and also for public safety……. !